[webike monitor] Although the floating which is different until now was attached, this product was seen, and it fell in love at ... [webike monitor] Although the floating which is different until now was attached, this product was seen, and it fell in love at first sight, and opted for purchase. It is satisfied with the reliability of strengthening of attachment. brembo Crab For installation! Especially it can be used without problems, but the attached Bolt is looking emphatically or the diameter of the bearing surface is small Small anxiety. Although it may be individual differences, because the Caliper Center is Gap, I am adjusting the Shim and using it. It is for MT-09, but attached to MT-07. 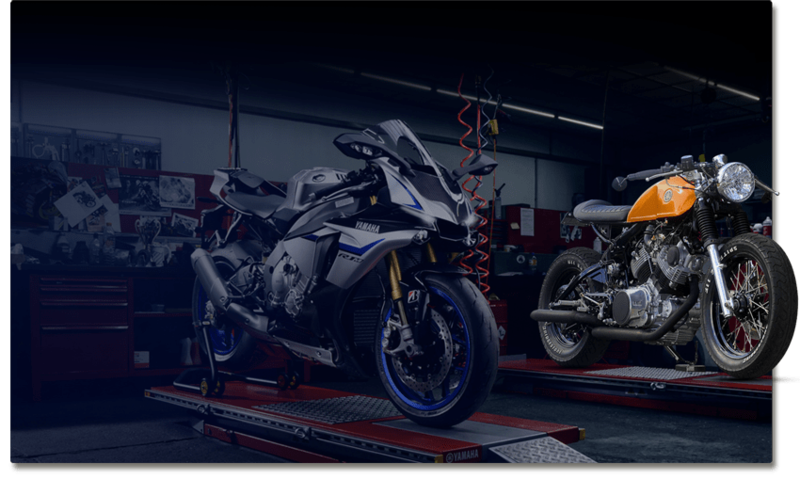 It is for MT - 09, but since Rear around was common, it was also attached at MT - 07. The former Crab type Brembo also hit everywhere properly. It was pretty good with a luxurious feeling with Black Anodized. 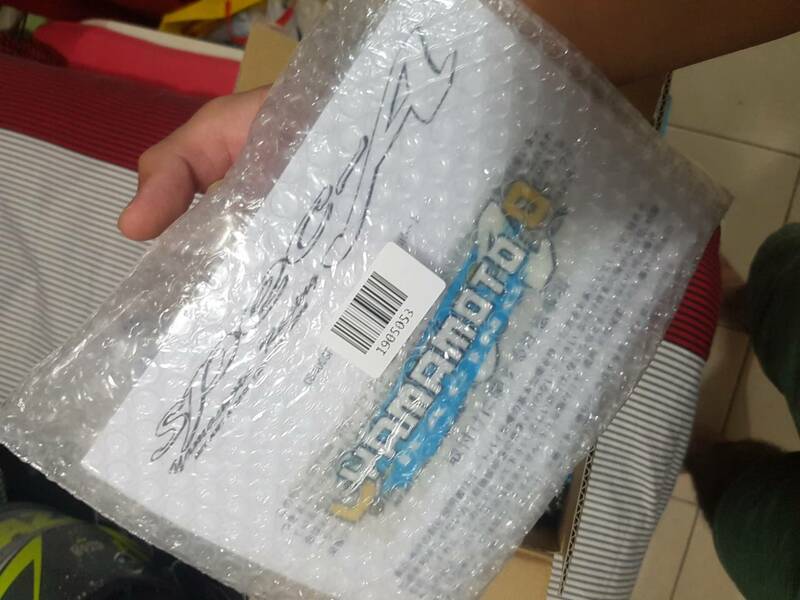 YAMAMOTOR REAR BRAKE MOTOR ITEM ARRIVED TODAY AND UNBOX TO CHECK THAT IS GOOD CONDITION I M HAPPY WITH THE SERVICE AND WAS QUITE FAST IN DELIVERY. HIGHLY RECOMMEND IF SOMEONE WANT TO FIX BREMBO ON THEIR SUPER FOUR. Gcraft brembo caliper bracket This is a very good fit, you may just need 2 pcs of 2mm spacer to get the caliper offset correct, the rest is cnc done perfect. Recommended for all Grom msx125 owner who wanted to fit a brembo radial caliper to standard 220mm brake disc. High Quality I have not installed the parts of the Radial master yet because I have not received it, but I think that it is common with the GSR 250, the disc Spacer, it is expensive. Is the disc's offset different?. Disk Aluminum Ring Spacer, disc so Disk bolt, Caliper - ForkMounting Bolt etc all set. The attached texture of Bolt is also exceptional. You can also see that it is expensive. It is a good product with a good price.. 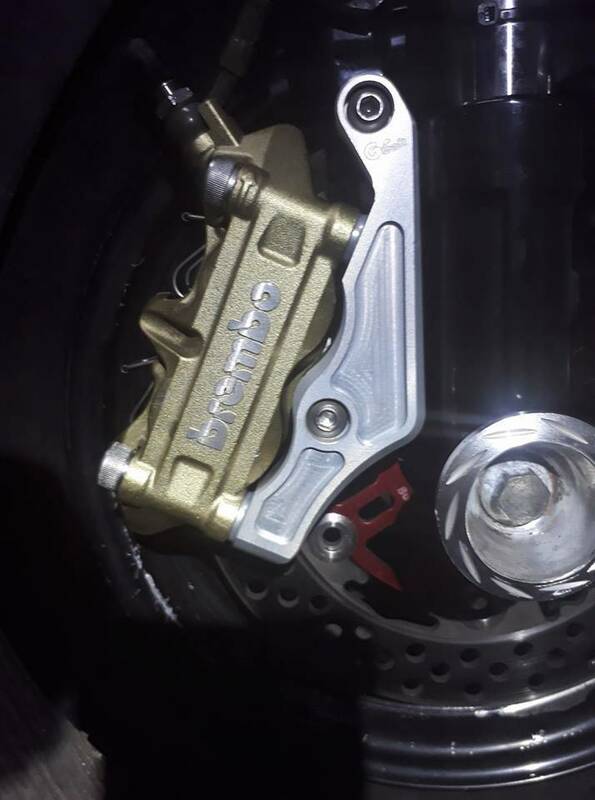 The price is expensive ,,, I am unsatisfied with the embossed 1 pot of Z125pro so I replaced it for brembo 4 pot before delivering a new car. In that case, I chose this product. I bought it without worrying about some Cost because of the security of Brand whether there was any other company's choice. There is nothing to say if it is a little cheaper, but looks are also satisfied well.